Here at The Park, our success is based on yours. We are passionate about providing a workspace and environment that helps companies and individuals thrive; because we are all entrepreneurs at heart looking for an opportunity for our ideas to take flight. As the first fashion-centered shared office spaces, it is our promise to provide you with everything you need to grow and for your ideas to flourish. Contact us today to rent your office space and get working on your dreams today. Would you like a space to call your own? Never worry again about packing up your belongings. Enjoy your own desk and a stimulating workspace, and let your ideas come to life as the magic happens. We offer you and your team a turnkey, full-service office space on a month-to-month basis. 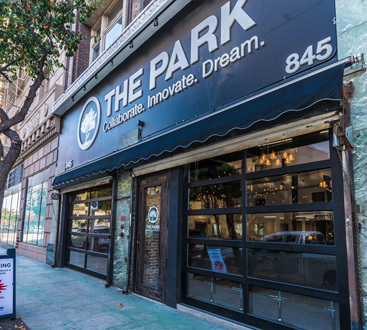 Providing everything you and your team need to do business in a space that is chic, energetic, and inspiring, work doesn't get much better than at The Park. Whatever your vision may be, we want to be the place you can go to make your ideas come to life. 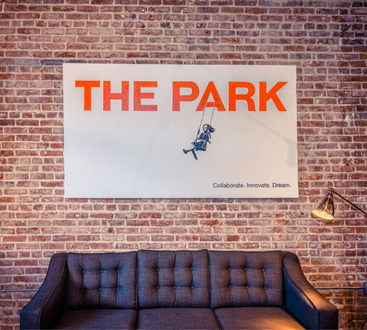 From the first-class amenities to the collaborative environment, The Park is your local innovative community for offices and workspace rentals and we want to be the first to welcome you to the team. Our mission is to create and provide a beautiful, inspiring, and innovative environment of workspaces that encourages community, collaboration, excellence, success, and a profound sense of joy for our diverse group of entrepreneurs, creators, professionals, and business owners.